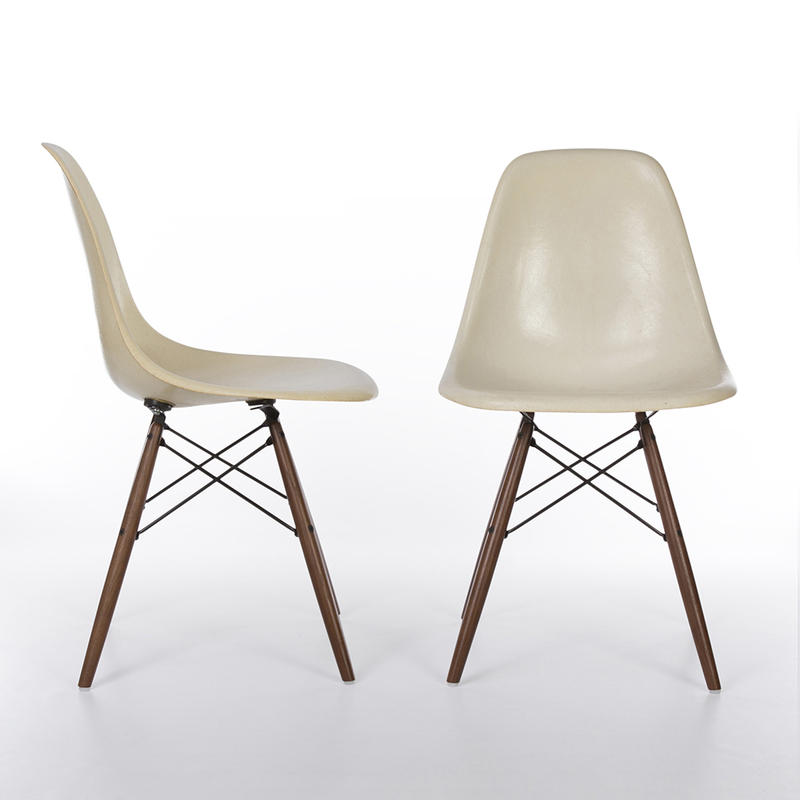 Where can a pair of original white Eames and Herman Miller side shells on used, reintroduced, dark wood DSW bases be used? The versatility of the vintage shells say anywhere. White is the perfect neutral colour for any colour scheme and with their complimenting dark bases, they are great statement pieces and design icons. 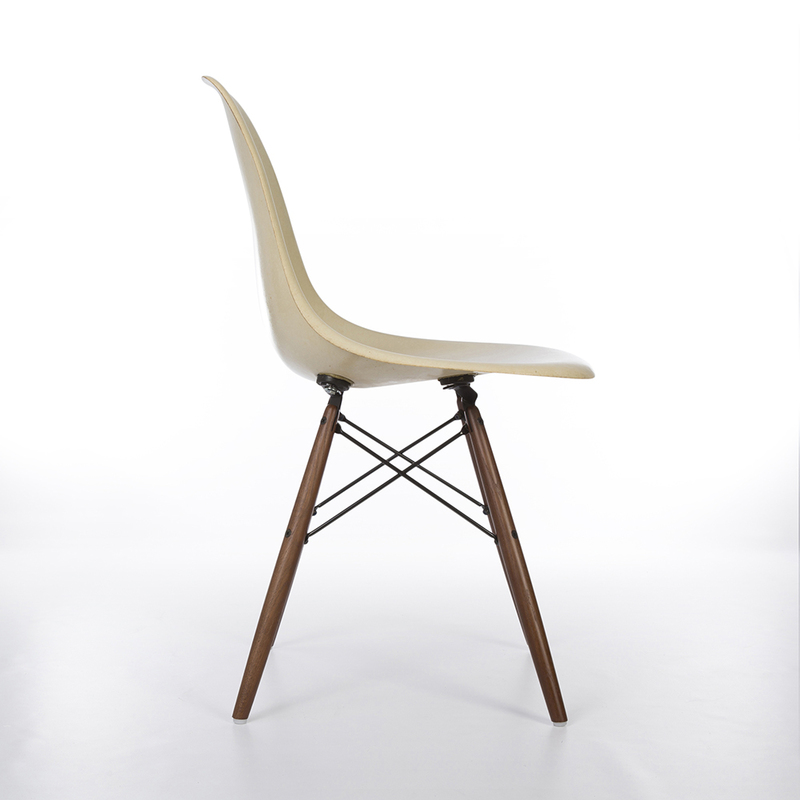 The success of these chairs has been proven by the continuous production time they have seen. 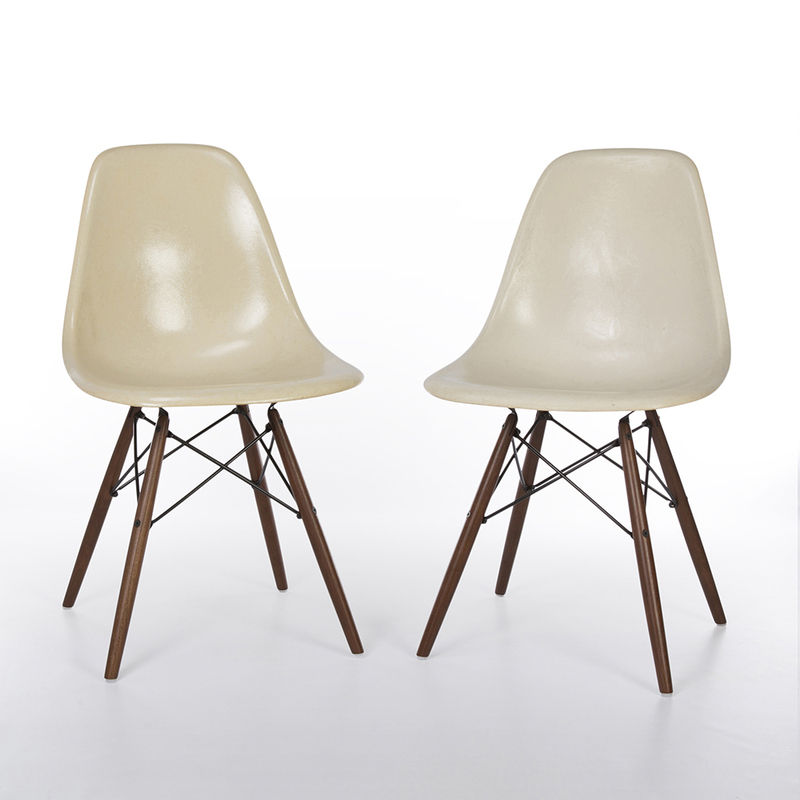 From their origin in the 1950s, new bases, upholstered variants and even adapted variants such as the La Fonda ensured these chairs have cemented themselves in the history books with their iconic and versatile design. 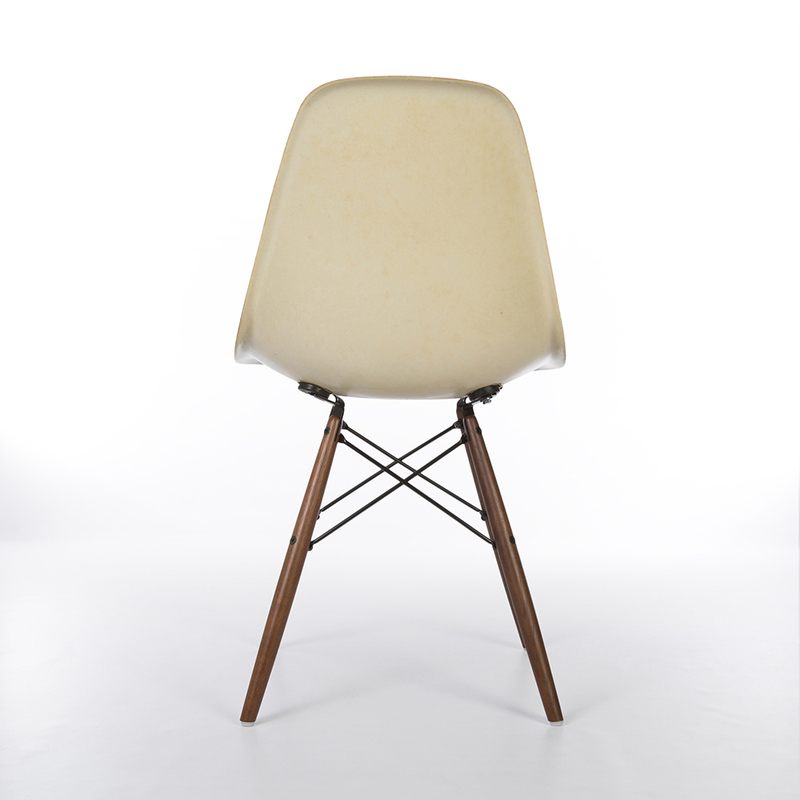 Upholstered versions were introduced in the late 1950s when Alexander Girard was commissioned to help design them and new bases found their way under the shells over the many years they have been produced. The shell are in good vintage condition, there is some vintage wear to the body of the shells but this is consistent with age. 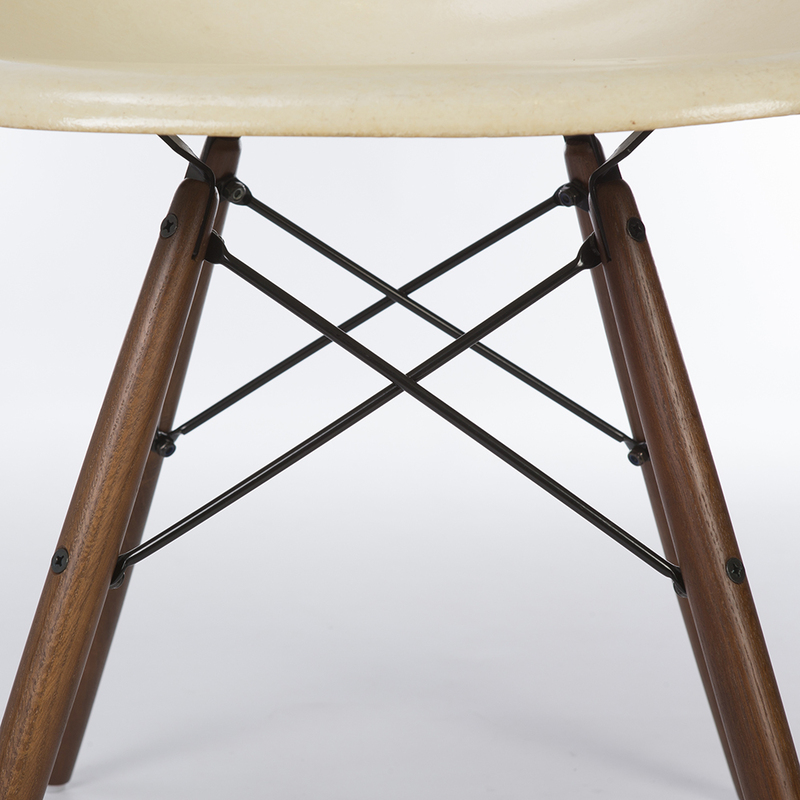 The edges have natural wear expected with being vintage used pieces. 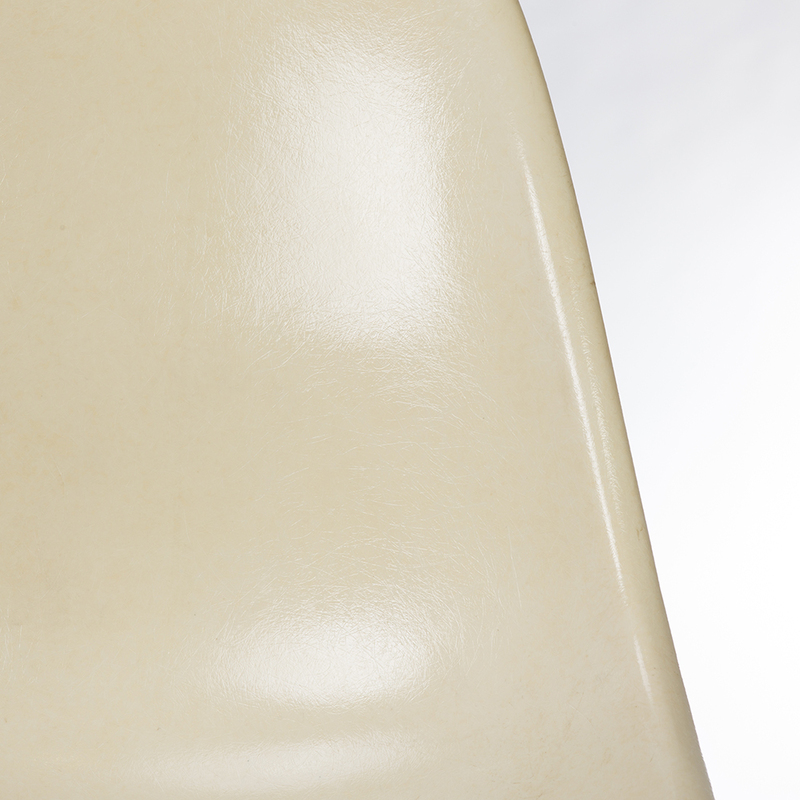 The white is visible, but some shells have yellowed slightly, a common feature of the early Eames white side shells. Some of the age shown is from some ingrained dirt, but this can be reduced with a bit of cleaning. 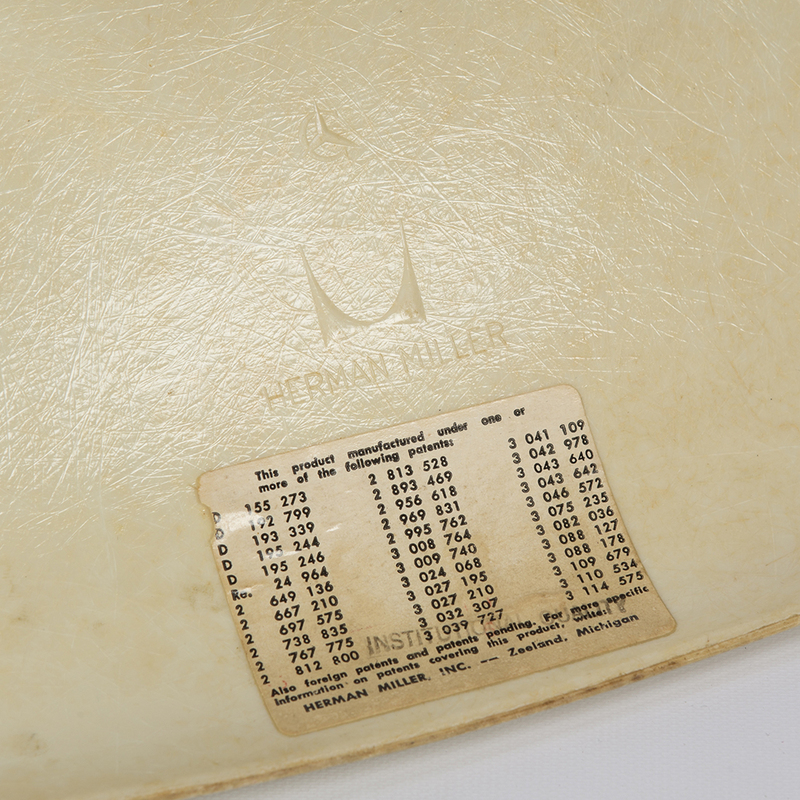 The ‘C’ with the star logo indicates these shells originate from Herman Miller’s Cincinnati Factory.